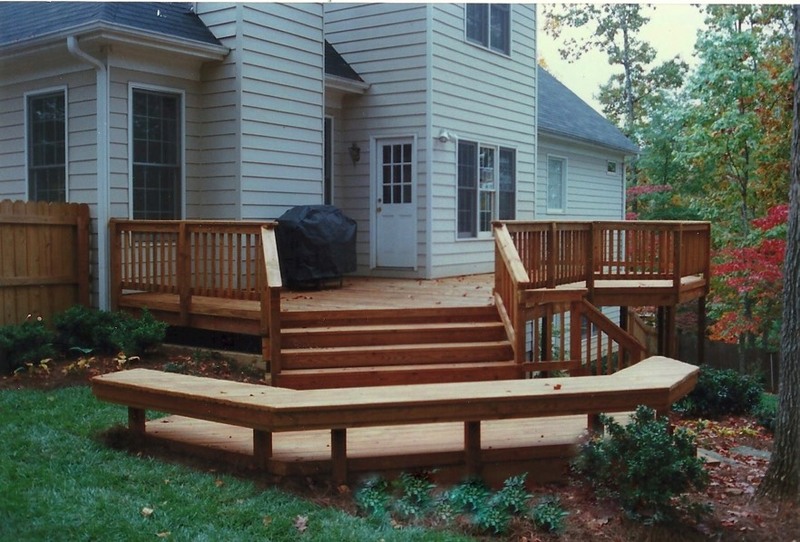 A deck at the front door might be the solution for you but for most homes a deck is added to the rear. 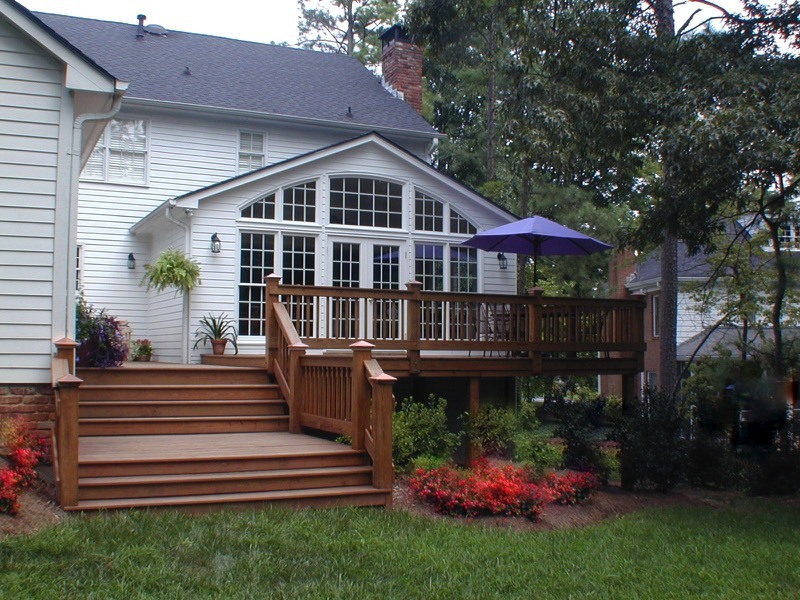 See how we’ve added windows and French doors to improve flow onto deck from family room and how we’ve designed decks to harmonize exits from multiple levels and doors. 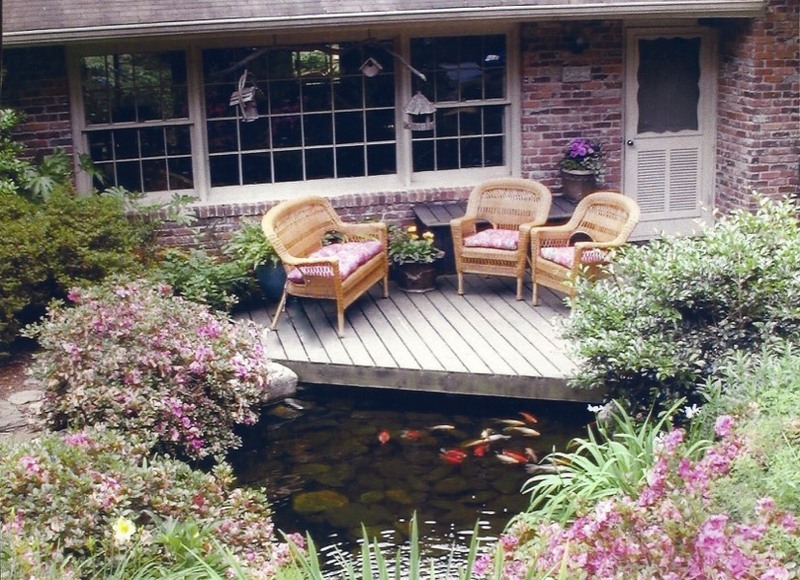 Make it interesting & comfortable. 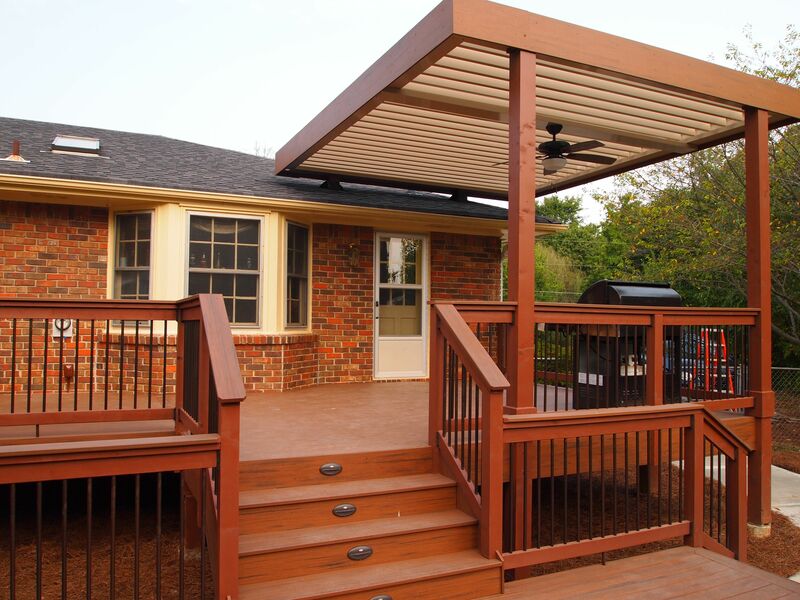 Add a long deck bench, arbor or adjustable patio cover so you can enjoy just the amount of sun, shade or rainproof environment you desire. 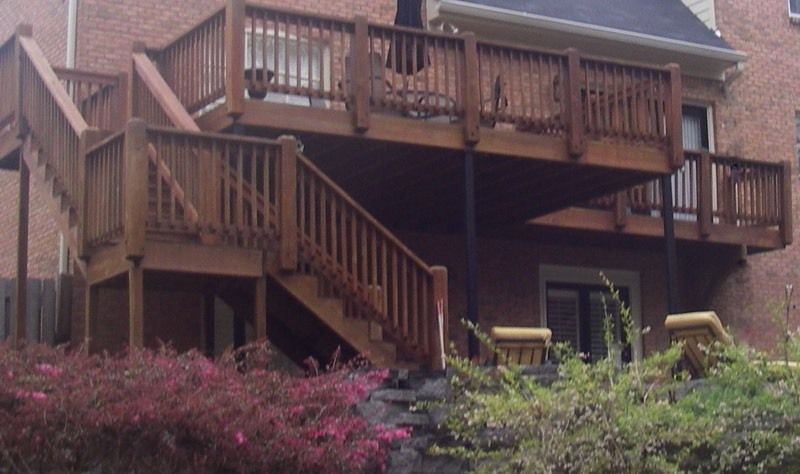 Don’t let obtrusive railings hide pretty views. 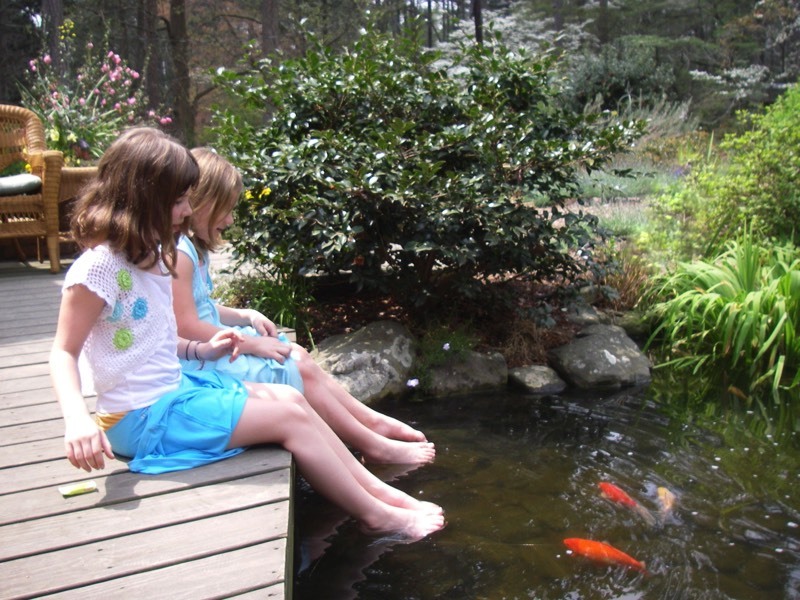 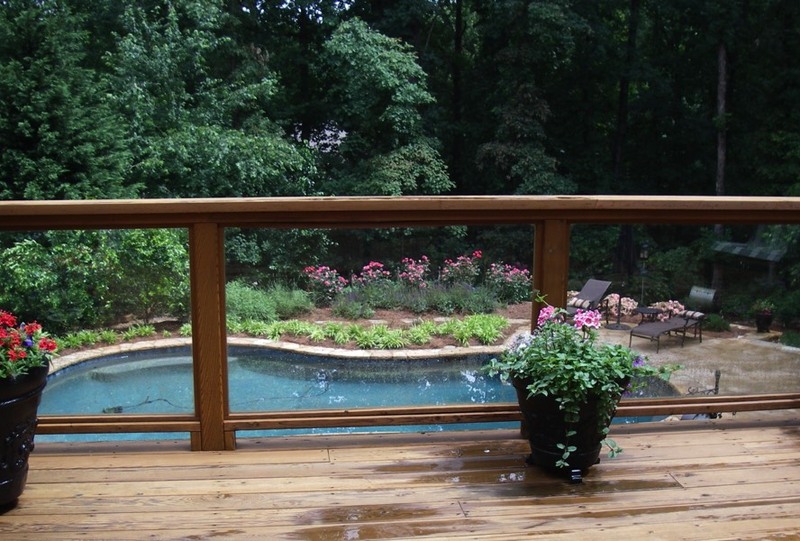 Design to maintain open views or use glass rails to see your landscape or colorful pool. 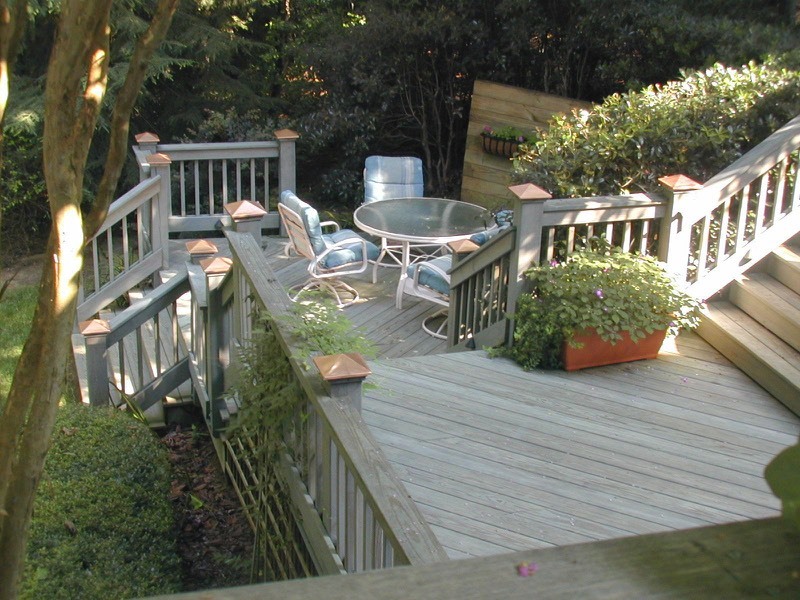 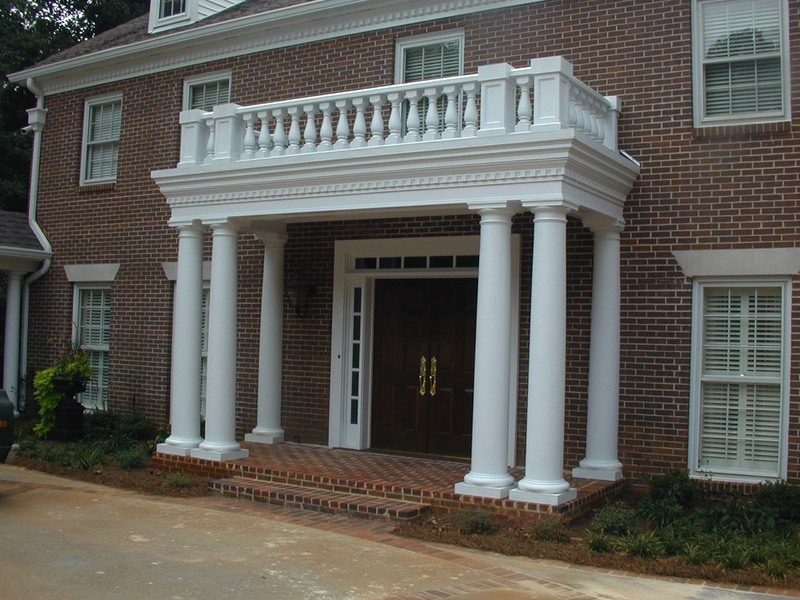 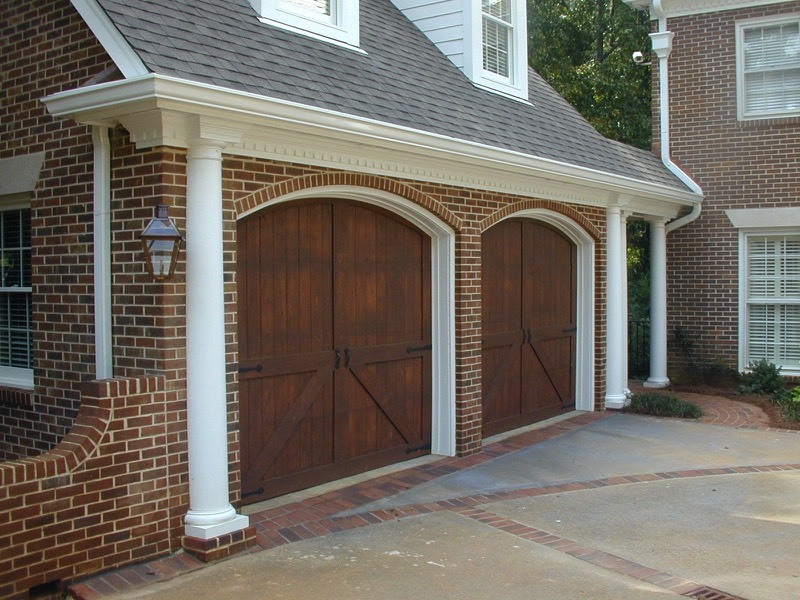 Decks, arbors and structures such as sheds, garages, porticos, gazebos & pavilions might be custom built or from a kit. 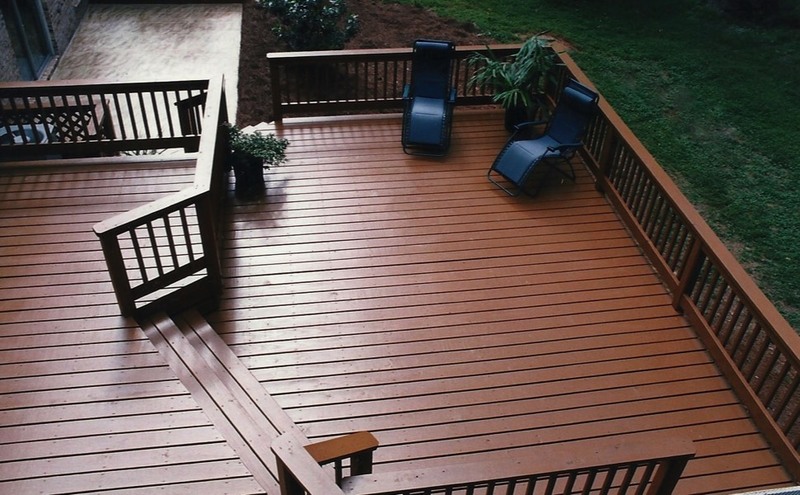 We have options for the highest grade pressure treated pine, cedar, hardwoods and manufactured lumber such as Timber Tech. 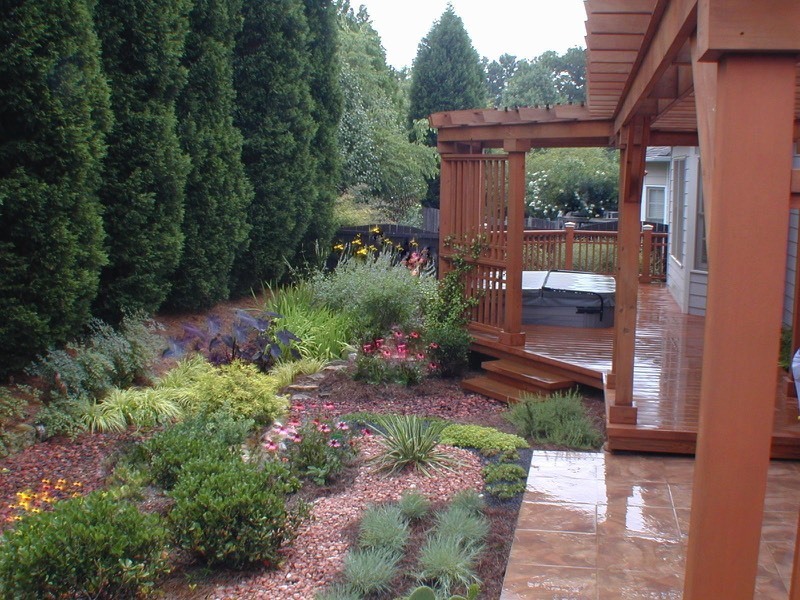 Budget, sustainability, maintenance and color will often dictate the choice that is right for you. 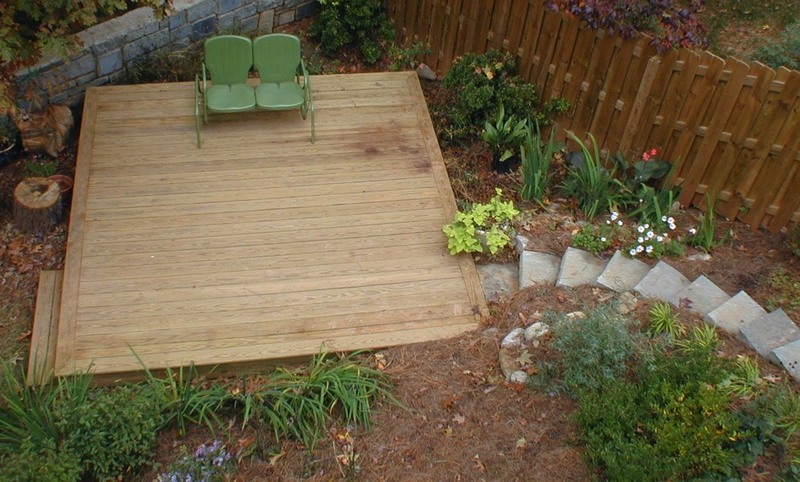 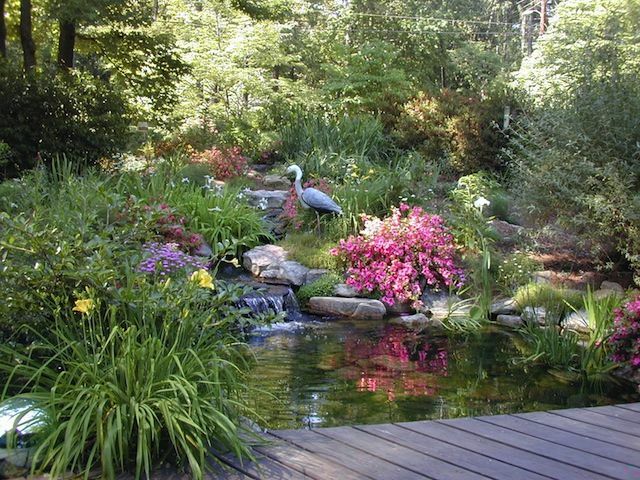 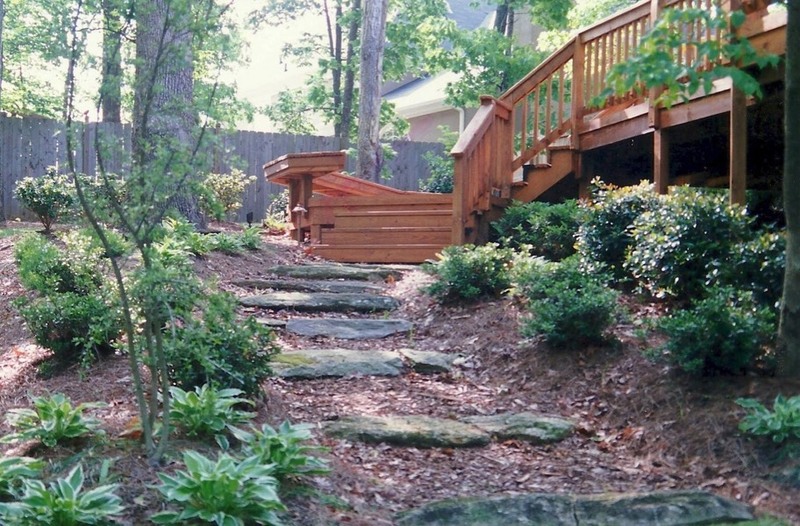 You might need a multi leveled deck cascade on a hilly site to provide easy and beautiful transition to your rear yard, woodland trail, or pool. 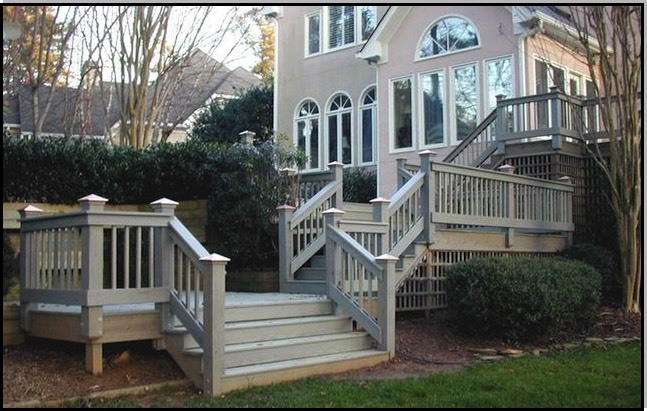 Consider how the levels can harmonize multiple exits from the house or entries to garden rooms, patios and play areas on different levels. 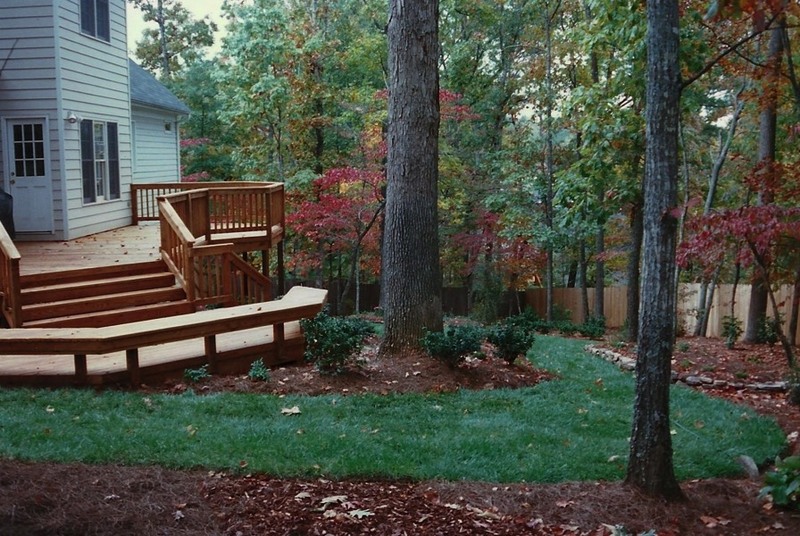 We also have designed simple, one level decks on a slope to add level, usable space. 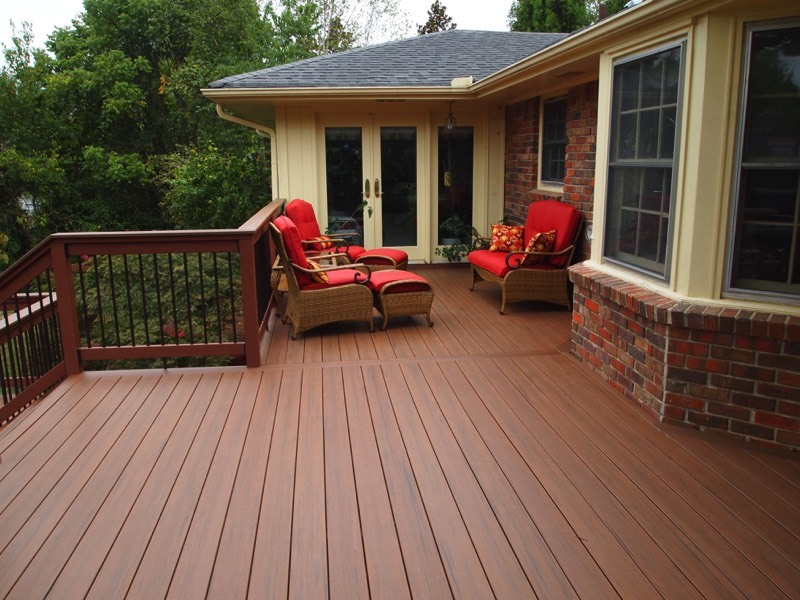 Decks are also a great option over a drainage problem. 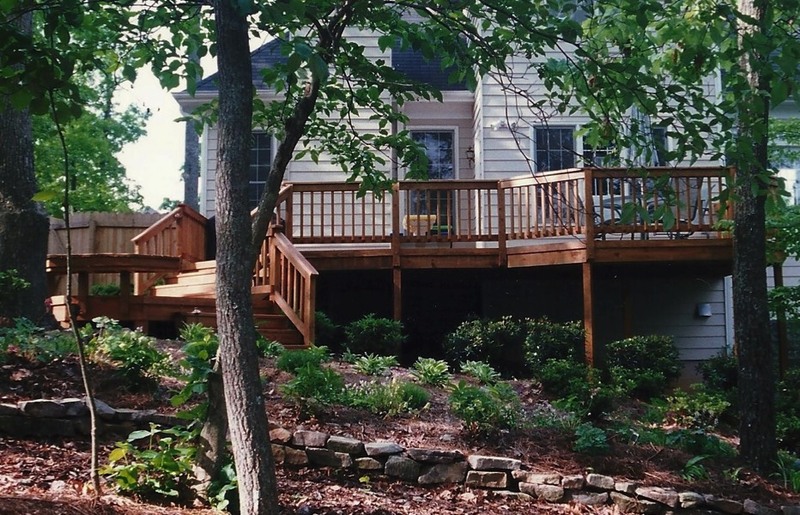 Add windows and French doors to improve flow onto deck.